Two African nations fought out the final of the Africa Cup of Nations yesterday in Luanda. This was an event organised by the Confederation of African Football (CAF). And, on the other side of the continent Robert Zoellick, World Bank President, gave a speech in Addis Ababa on the theme of African integration. But not a mention of the unifying power of the sports event that attracted a huge TV audience throughout the continent, as Zoellick speaks. That was a pity because it might have brought more passion to his speech. As Robert Zoellick speaks, we hear a list of World bank achievements in Africa in the months following the banking crisis of 2008. Some of his inferences from that crisis were alarming and I suspect not at all provable. But that apart, he used good examples of how World bank funds are deployed. Then he set out a good outline of the Bank’s activities and, of course, those of its inter-dependent agencies. “We support” or “we supported” sound infinitely better. This Zoellick speech appeared as a listing of bullet points and examples that had minimal structure. Point summaries and pointers to subsequent points were missing. His speech writers could help his audience some more. Perhaps a Uganda speech writer is needed here as well? 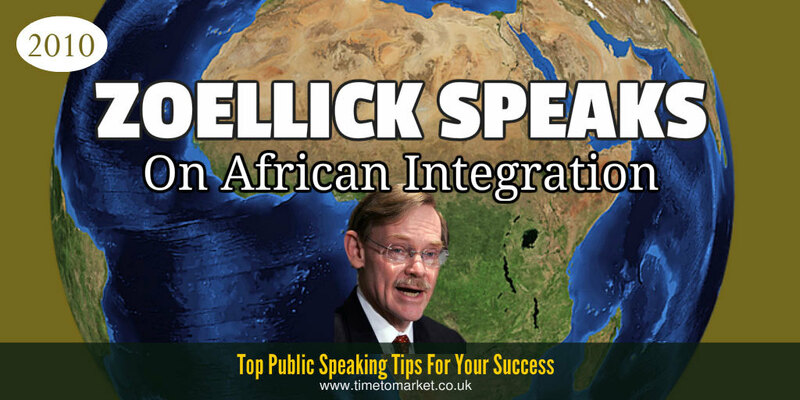 His theme of African integration held together…just. But he could do more with this theme. Not least on the day of the Africa Cup of Nations final. However, the fact that Robert Zoellick speaks out at all is no bad thing. More, please. 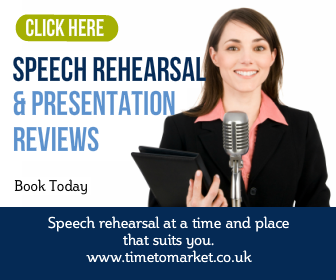 You can discover plenty of public speaking tips for every speech occasion with our series of top tips for speakers everywhere. And, with more than 100 top tips, there’s something for everyone. 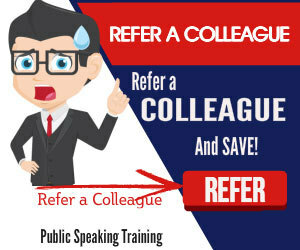 Plus, when you need some extra focus on your public speaking skills, then please don’t hesitate to get in touch. Hello! Sorry that I am asking right here – what cms is this? WordPress, Movabletype? Cant find data anyplace.